One of the most significant themes of Ovid’s Metamorphoses, ironically, is what does not change. There are many instances within the poem of the transmogrified victim facing the consequences of their metamorphosis whilst still possessed of their human consciousness. This may comfortably be dismissed as a mere narrative device, given that it greatly augments the pathos of subsequent – and quite frequently tragic – events. The case of Actaeon, the aforementioned panic-stricken deer torn apart by his own former hunting dogs, springs irresistibly to mind. Nonetheless, this notion of ideological immutability also serves to illuminate, with satisfying accuracy, a pervasive issue in contemporary street art. Many artists feel great revulsion at the commercialisation and gentrification of their counter-culture, and this rage often manifests itself in fresh creative outbursts. 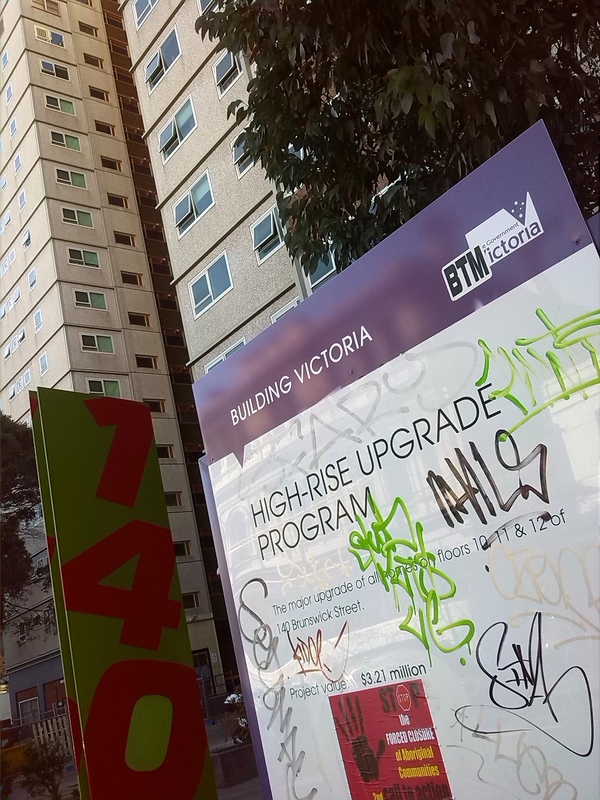 Rarely, however, with such beautiful natural irony as in this specimen: a billboard extolling the prospective rejuvenation of a housing commission block, blatantly disfigured by a multitude of garish tags. A hopeful message, perhaps, for the street artists of the future – insurrection can never truly be assimilated by convention. “Interior Immutability: What Remains,” Street Art deTours, accessed April 20, 2019, http://streetartdetours.com/document/957.